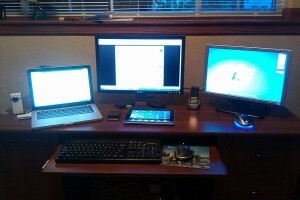 Home» Everything Else » Current technology setup. I have way too many gadgets and toys. Me too. iPad, Macbook, Droid X, Snowball Mic, 2 iPods, a pocket cam… yeesh.